The summers in Montreal are arguably the best in the world. As the city wakes from its long winter slumber, Montrealers burst into the streets in celebration. Restaurant terraces are bustling, bike lanes are packed and there are festivals abound. One of the most valued summertime pastimes in Montreal is to have a picnic at one of the many wonderful parks found throughout the city. There is nothing more enjoyable than meeting up with a few friends at a local park to relax, have a picnic and soak up the wonderful sunshine. 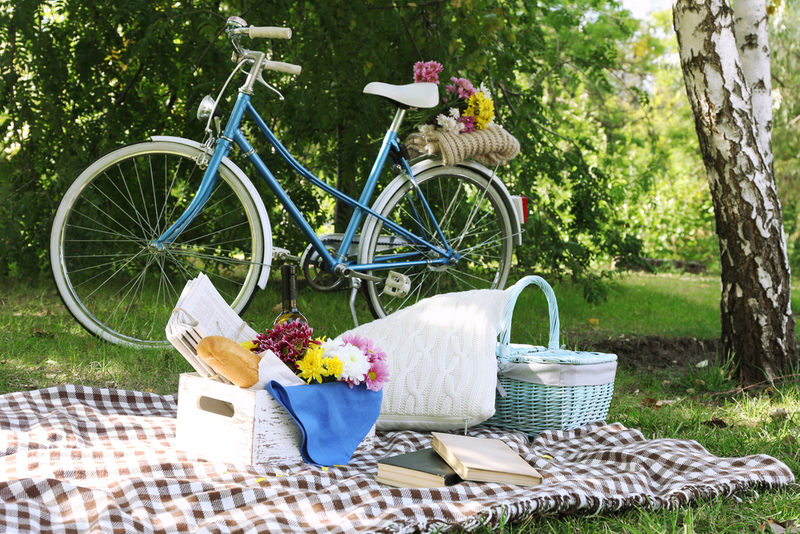 Do you have a favourite picnic spot in Montreal? Here are the best and closest parks next to your home or home-to-be! Located on Park Avenue, south of Mount Royal Avenue and opposite of Mont-Royal Park, Parc Jeanne-Mance is a wonderful place for a picnic in the warm summer sunshine. If you like sports, there is plenty of room to toss around a frisbee, play a game of baseball or get competitive on the tennis courts. There is also a well-maintained soccer field in Parc Jeanne-Mance where you can play a game of pick-up soccer or watch one of the many league games played on this field. If you have children, watch as your children delight in the sizable children’s playground or the outdoor children’s wading pool. Our special picnic tip: if you don’t want to pack your own picnic, grab a sandwich at Café Santropol or Schwartz on your way to the park. These two delicious and historic restaurants will be more than happy to give you a take-away order. This majestic park is at the foot of the Jacques Cartier Bridge. Its many fountains and interesting art sculptures lend this park a Parisian quality that meshes perfectly with the surrounding historic neighbourhood. At the juncture of Ontario Street East and De Lorimier Avenue, Parc Des Faubourgs is just minutes away from Spark condos and it is the ideal setting for your next picnic. There are also many amazing free festivals that happen here all summer long. Come with some polish pride and enjoy Montreal’s Polish festival that takes place here every August or pack some popcorn and stay for the Cinémas sous les étoiles event, which happens every Monday at 9:00 PM in July. Parc Maisonneuve is one of Montreal’s largest parks. It is a tranquil city escape with expansive green space, groomed lawns and plenty of room to walk and play. Rife with private, shady spots, this popular park is the perfect place for a summertime picnic with a loved one or the entire family. This park also boasts an extensive network of trails, which makes it an excellent place for running and biking. Once you’re picnic is all packed up and done, think about visiting the neighbouring Botanical Garden, Biodôme, Insectarium or Olympic Stadium. This is one of Montreal’s most beloved parks. Although it isn’t a secret park, it is a little less well known than some of Montreal’s larger parks and it is one that is treasured and adored by many Montrealers. It is a great place for a picnic with all the activities that you need for your family and friends to have fun. There is a soccer field, two baseball fields, a public swimming pool, a nice playground for kids and a dog park for animal lovers. There are also some usual features in this park including a horse horseshoes sandbox, a pétanque terrain, ping-pong tables, badminton courts and free wifi! With tons of take-away restaurants nearby, Sir Wilfrid Laurier Park is a fantastic place for a BBQ or picnic on a sunny afternoon. Although Beaver Lake is more popularly known for its various winter activities, it’s also a wonderful spot to spend a hot summer afternoon. Enjoy a lovely picnic by the water or rent a rowboat for two and soak up the summer sun as you sail across the water. The walking trail surrounding the lake allows you to go for a nice walk with your family or a quick jog by the water. On Friday, Saturday and Sunday afternoons from July 8th to October 9th gather your family and participate in the 30 minutes Family Rally. Just visit the kiosk onsite to discover the mysteries of Beaver Lake.